“The Huckleberry Hound Show” features Yogi Bear, Pixie, Dixie, Mr. Jinx and, of course, Huckleberry Hound…all starring characters on the show. 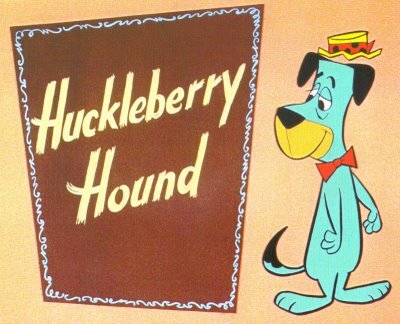 The Huckleberry Hound Show debuted October 2, 1958 and was the first cartoon ever to win an Emmy for outstanding achievement in children’s programming. These classic images are based on scenes from the opening sequence of each episode during the first season of the show. The voice of Huckleberry was the legendary Daws Butler.